On Saturday the Information Ministry in Damascus ordered Syrian radio and TV broadcasters to interrupt regular programs and switch to war status, airing patriotic content and militlary marches. This weekend, 31 August/1 September 2013, VOA Radiogram will include sample text in Vietnamese and Russian. There will also be experiments with RSID, the brief signal at the beginning of a digital transmission that automatically changes the mode in the listener's software. A Base64-encoded VOA logo will be transmitted in the very fast MFSK128 mode, with probably little chance of success. This Saturday the 31st of August is Hamburger Lokalradio as normal. the golden age of rock music. All reports to: MVBR: info@mvbalticradio.de Thank you! European Music Radio will return in October! RTÉ Radio will broadcast the GAA All Ireland Hurling Final on Sunday 8 September and the All Ireland Football Final on Sunday 22 September on all wavelengths and via the internet to Irish people and communities around the world. RTÉ is asking on those with relatives or friends abroad to let them know that this coverage is available and to invite them to the biggest party in Ireland’s sporting calendar. Shortwave to Africa: In Africa, where many Irish people live and work, often in relative isolation with poor communications, RTÉ is providing special transmissions on shortwave radio. See details below. These services are part of RTÉ’s continued commitment to Irish people overseas and, over the years, has proven especially popular with those in geographically or technically isolated areas. In addition to RTÉ Radio broadcasts, RTÉ will also broadcast the All Ireland Finals on RTÉ Two Television. Don’t forget also the extensive and dynamic online offering from www.rte.ie/sport. Some of these are very strong and you may hear them round the clock, but, of course, it depends on your location. At my QTH in Central Bulgaria, I am able to hear STANAG-4285 signals from Italy, Germany and other European countries with relatively good signal on 5 and 6 MHz round the clock, even in the summer. I have no idea of the transmitters, but wouldn't be surprised if they use output power of up to several kilowatts. The signal itself consists of several sub modes (75-2400 bps) and two different interleaving options (short and long). The waveform consists of a 1800 Hz carrier with PSK modulation. I hope you're now familiar with what is called STANAG-4285, the motorboat signal that appears all over the HF bands. If you're interested in receiving utility stations and decoding digital links, do not hesitate to join the UDXF mailing list at http://groups.yahoo.com/group/udxf/ 73! Starting August 31, 2013, a new radio station will start broadcasting on shortwave. It concerns Radio Inyabutatu. Radio Inyabutatu will broadcast on Saturdays from 1700-1800 UTC on 17870 kHz in the 16 meter band. Here is a 49 meters band scan between 1430 and 1530 UTC (which is 1700 local time here in Bulgaria and almost 4 hours before local sunset) that I made a few days ago. It shows the power of the beverage antenna when receiving on the lower bands. 5985kHz - Shiokaze See Breeze - 2, with sub-audible heterodyne from Myanmar Radio on 5986 kHz. 5990kHz - China National Radio in Tibetan - 2, in co-channel with PBS Quinghai. 6003kHz - Korean jamming against Echo of Hope - 2. 6080kHz - China National Radio 1 - Chinese 3, co-ch with the strong signal of Radio Stalica, relayed by the Radio Belarus transmitters after 1500UTC. 6130kHz - Russian utility communications in AM - 3, Tibet is absent. 6200kHz - Tibet is probably absent on this frequency too. 1100-1300 on 9677.6 SPK 010 kW / non-dir to CeAs, QRM ROU German 1200-1256.
on the same frequency at 0000UTC on August 21.
from 0716 NF  9930 TWW 100 kW / 180 deg to SoAm, ex 5085 on Tue, August 27! In this article, I'll introduce to you the radio propagation beacons. Have you ever wondered why one day you have listened to a distant station from several thousand miles with good signal and the other day there has been almost no sign of it. In almost all cases, this depends on the HF propagation conditions. And the best way to check the propagation is the world wide beacon system. It is a system of amateur operated beacons that do transmit in CW (telegraphy). Each beacon transmits its callsign every three minutes, no matter if it's day or night. It is sent at 22 words per minute and is followed by four one second dashes. The callsign and the first dash are sent at 100 watts, followed by 3 dashes: 1 at 10 watts, 1 at 1 watt and 1 at 100 milliwats. If you are able to hear all the dashes then the band is really open and the conditions are excellent (and your antenna is working well too ). Thanks to NCDXF/IARU for the transmission schedule. 0900: 5830kHz - WTWW - 55544 - ""Scriptures for America" program, instead of the listed in the website "Radio Ranch Message" which ended at 0858. Utility station a few kHz up, but not causing interference. 0904: 5890kHz - WWCR - 45544 - "Brother Stair" saying the word and trying to sing from time to time. Gospel music. Giving postal address at 0908. 0918: 6195kHz - WHRI Angel 2 - 45444 - relaying NHK World Radio Japan in Portuguese. 0921: 5935kHz - WWCR-2 - 55555 - relaying Pastor Melissa Scott's University Network. 0927: 4840kHz - WWCR-4 - 45444 - "The Power Hour". Joyce Riley talking about the control of Internet communications like email. Program promos and commercials at 0930. 0931: 11520kHz - WEWN EWTN - English to South East Asia - 25542. Catholic programming. 0936: 3185kHz - WWRB - English - 35444 - relaying Brother Stair. 0938: 6090kHz - Caribbean Beacon - English - 54554 - Relaying Pastor Melissa Scott. Utility station on 6091.5kHz causing interference. Best in ECSS LSB. Using a remote receiver in California. 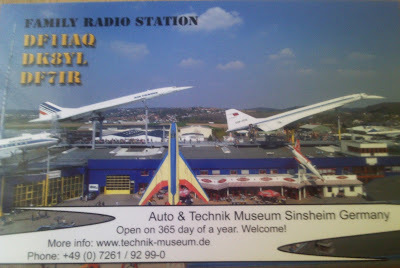 I received two nice QSL cards on Friday - from LY9A from Lithuania and DF1IAQ from Germany. Thank you guys! Wish you all the best and 73! The station was recorded on 22 August at 1810 UTC. At 00:45 at the recording, I switch to 4807 LSB where there's a morse code station. Than I come back to 4806 LSB to listen to more traffic from the Russian station. Does anyone have an idea what's the purpose of the station? Very few utility stations use LSB. I regularly receive mysterious NDB beacons inside the AM broadcast bands. Here are some recordings made with Sony ICF-2001D receiver. Note that on some of them there's strong interference appearing from local broadcast stations because the receiver does not have narrow CW filters. I made the listening in either USB or LSB mode. Radio Japan broadcasting in Japanese to Central Africa as received in Troyan on 22 August on 15130 kHz AM with Sony ICF-2001D and 150 metres beverage antenna, directed to Western Europe. Bangkok Meteo as received in Troyan on 22 August on 6676 kHz USB with Sony ICF-2001D and 250 metres beverage antenna, directed to South Asia. China Radio International, broadcasting in Russian with 500kW out of Urumqi-Hutubi on 13580 kHz, as received in Troyan on 22th August. All receptions were made in USB mode. Antenna used was 150 meters long beverage, directed to Western and South Europe. We will transmit another sample of VOA Chinese text on this weekend’s VOA Radiogram. If blocks appear rather than Chinese characters, try copying and pasting those blocks to a word processor to see if the characters appear. *Use the UTF-8 character set. In Fldigi: Configure > Colors & Fonts > Select Char Set. Close and restart Fldigi between VOA Radiogram broadcasts. **To make Flmsg work with Fldigi, in Fldigi: Configure > Misc > NBEMS > Under reception of flmsg files, check both boxes, and under that indicate where your Flmsg.exe file is located. Please send reception reports to radiogram@voanews.com ! TAIPEI — Debate over the origin of a shortwave radio broadcast in Chinese reciting numbers remains unresolved as Taiwan military and intelligence officials deny responsibility, while others suggest China is behind a "numbers station." Described as one-way voice links, "numbers stations" have been used since World War I to send encrypted messages to spies. On Feb. 1 at 11.430 MHz, a broad­cast of a female voice recited 20 sets of four numbers in Chinese: "Now we're ready to broadcast the first 55­word telegram of February. Unit 2236 please write down and receive. 2744, 3449, 1269, 2291, 1773, 7330, 9816, 8023, 1872, 7381, 9726, 5171, 2227, 5393, 6736, 3842, 7994, 7732, 3102, 4911. This is the 20th set telegram that was just broadcast." During a broadcast April 20 at 10.520 MHz, with what some called a Taiwanese accent, a female voice signed off in Chinese with: "Thank you for listening. Wishing you good health and a happy goodbye." The broadcasts do not use any standard broadcasting protocol, such as identifying the station or origin. A Taiwan government communications official said the broadcasts are a "topic not open to discussion or inquiry." Officially, Taiwan's Ministry of National Defense (MND), upon listening to the messages, said, "no comment." However, an MND official said the broadcasts were coming out of China, not Taiwan, and the military was aware of them. Though the method appears antiquated, there is a beauty to using the system. "There's no link to the recipient. With e-mail and other methods, there's always the chance of identifying the recipient. Also, all that is required is a common portable shortwave radio," said Chris Smolinski, who moderates the Spooks Digest Listserv via the Black Cat Systems Web site. Spooks Digest routinely identifies numbers stations around the world. Numbers stations reached their peak during the Cold War, only to decline significantly after the Berlin Wall fell in 1989, though China, Cuba, Israel and North Korea have been accused of continuing to use the method. Some sources have suggested the broadcasts are a "false flag" operation to confuse the enemy. "Some percentage of the transmissions from such stations are very likely to be dummy traffic to make it harder for counterespionage outfits to draw conclusions about the number of spies working against them and their level of activity," said a U.S. defense analyst, adding that such agencies would quickly figure it out if it were all dummy traffic. "It only makes sense to operate such a station if you are communicating with real spies." However, not everyone agrees the broadcasts are intelligence-related. "It is easy to be conspiratorial about numbers stations, and there is no doubt that they have been, and still are, used in intelligence and military operations," said Gary Rawnsley, professor of Asian international communications at the University of Leeds. "However, they are also used for technical reasons to check the clarity of signals, etc., on specified frequencies. Sounds boring, but there we go." Other sources said the broadcasts could be connected to the Chinese Telegraph Code (CTC) to communicate with fishing vessels, said Scott Henderson, author of the book "The Dark Visitor: Inside the World of the Chinese Hacker." "The CTC runs from 0000-9999 with the character for each block identified by an individual number," he said. "If the operator passes the string 1034, 6878, 9801 ... etc, just write out the characters and see if they form a sentence. If they don't, it's coded." However, the numbers do not match the CTC. "I can guarantee this is not for fishing boats or any other commercial radio communication," said a Taiwan defense analyst. Erik Baark, author of "Lightening Wires," a history book on the CTC, said the broadcasts sound like someone using the CTC, but "to my knowledge, one would not use this method in communication with commercial fishing. … Either one would use Morse code, easier to distinguish on shortwave, or one could simply read the text." Smolinski said the signal strengths of the Chinese broadcasts "are a bit too high for it to be someone using a ham transmitter," or amateur radio. There are also too many transmissions. "The hoaxes in the past have generally been one-time affairs, and obvious pranks, done for entertainment, with no attempt to pass them off as `real' numbers transmissions," he said. Members of the local Chinese Taipei Amateur Radio League dismissed suggestions the broadcasts are fake. "We don't know who is broadcasting the numbers," said one member. "It could be China or Taiwan." Those who doubt countries continue to use the method need only look at Cuba. In 1998, the U.S. government arrested a group of Cuban intelligence agents, known as the Wasp Network, receiving instructions from a Cuban numbers station being operated as Atención. In 2001, a U.S. Defense Intelligence Agency analyst, Ana Belen Montes, was arrested for spying for Cuba. Investigators discovered she also received instructions from Atencion. However, some sources are still debating why China or Taiwan would continue using a system that seems antiquated in comparison to the Internet and cell phones. "It seems like an arcane practice, but espionage tradecraft also loves the tried and true," said Richard Bitzinger, a former U.S. intelligence analyst. "Agents still use dead drops, microdots, etc. Shortwave radios are easy to come by and operate, and when all the really sophisticated means of communication fail, this is probably a good fallback." MOSCOW, August 21 (RIA Novosti) – The Russian government’s international radio broadcasting service Golos Rossii (Voice of Russia) will stop its shortwave broadcasts from January 1 next year, the Digit.ru online journal reported Wednesday. The shortwave service is closing “due to funding cuts,” Voice of Russia deputy director Natalya Zhmai said in a letter dated August 15 to Andrei Romanchenko, head of the Russian Television and Radio Broadcasting Network (RTRBN), the journal said. Voice of Russia, established in 1929, currently uses RTRBN transmitters to broadcast to foreign countries using short and medium waves. After the shortwave service goes off the air, only three low-power medium wave transmitters will be used to broadcast to other countries, an industry source told Digit.ru. The radio will mostly use FM band transmitters based abroad, the source said. At the beginning of the year, Voice of Russia cut the total volume of shortwave broadcasts to 26 hours a day from more than 50 hours in 2012.
from 1100 on 9677.6 SPK 010 kW / non-dir to CeAs, QRM ROU German 1200-1256. Mighty KBC switches to 7375 kHz via Nauen, Germany on September 1, 2013 0000-0200 UT. Mighty KBC is currently using 9925 kHz via Nauen, Germany for the 0000-0200 UT "Giant Jukebox" Sunday broadcasts to North America. Please check English transmissions around 1305-1315! The radio station, which leapt to prominence in the 1980s, may soon be back on the air. And it's keen to explore digital broadcasting using digital radio mondiale. By Duncan McLeod. Iconic radio station Capital Radio 604, which broadcast to audiences in KwaZulu-Natal and beyond in the politically turbulent 1980s and 1990s, may soon be back on the medium-wave dial after being off air for the past 17 years. A group of investors, which includes former Reserve Bank governor Tito Mboweni and broadcasting industry veterans Mark Williams and Kevin Savage, made oral representations to the Independent Communications Authority of South Africa (Icasa) on Thursday as to why Capital Radio 604 (Pty) Ltd should be granted a licence. Capital Radio, whose original studios were on Transkei’s Wild Coast — in Port St Johns — wants to use the same medium-wave frequency at 603kHz that the station used to broadcast on between 1979 and 1996. It plans to erect a transmitter in Cato Ridge to serve audiences in Durban and Pietermaritzburg. The station had a loyal following in KwaZulu-Natal in the 1980s as the only source of independent radio news. To this day, it has a loyal fan base, with websites, a podcast and a Facebook page dedicated to it. If Capital Radio is relaunched, its shareholders will be Mboweni Brothers Investment Holdings (40%), Mark Williams (30%), Kevin Savage (10%), Nick Megen (10%), Tsidi Bishop (5%) and staff (5%). The station plans to revive the Independent Radio News brand. Music will be centred on the 1980s, though it will broadcast current hits as well as songs from other decades. The audio mix will be “multi-generational”. In peak times, between 6am and 7pm, it intends offering 65% music and 35% talk. During off-peak hours, music will make up 85% of the mix. Current affairs shows are planned for midday and 6pm, with all-round, seven-minute-long hourly news bulletins during peak times. Savage says Capital Radio 604 intends offering an AM service and is also keen to launch digital broadcasts using a technology known as digital radio mondiale, or DRM. It will also be available as an Internet radio station at launch. Content will consist mainly of music, but it will also have a strong news component. It will come up against East Coast Radio, a highly successful, Durban-based commercial radio station owned by Kagiso Media. Also repeated Saturday August 17th at 08 - 09 UTC on 9510 kHz. 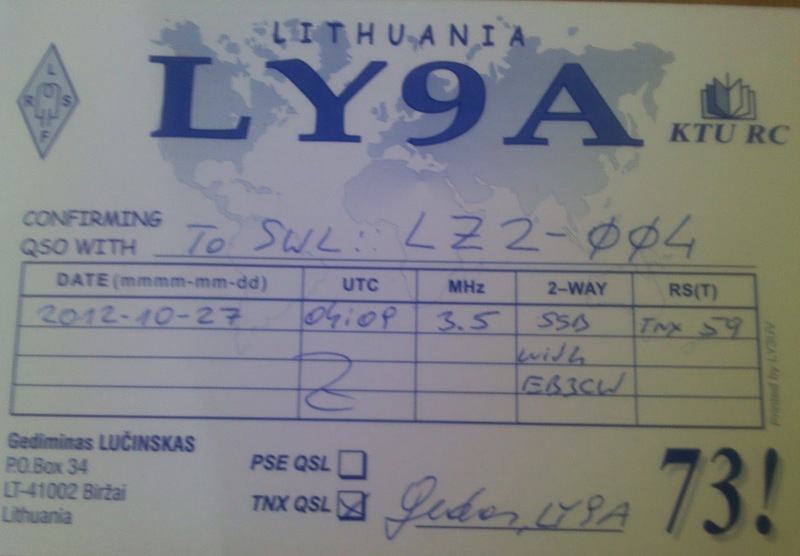 You can also hear a separate programme every Saturday at 19 - 20 UTC via Radio Merkurs, Latvia on 1485 kHz. On the 4th Saturday of the month there is also a transmission via Hamburger Lokalradio on 7265 kHz at 12 - 13 UTC. 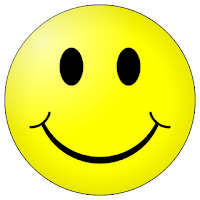 All reports to: atlantic2000international@gmail.com Thank you!